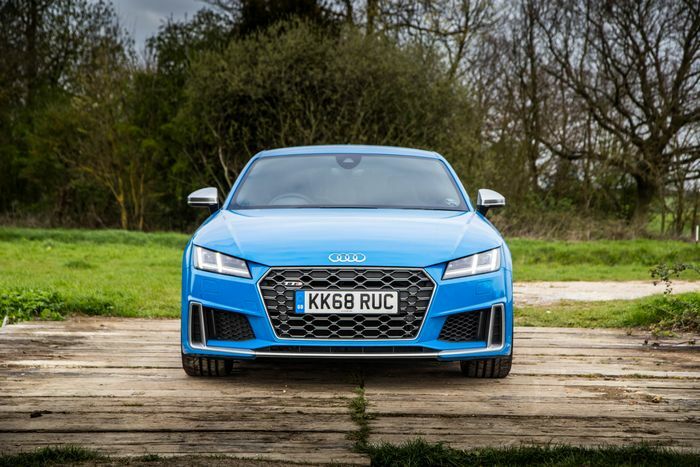 It seems strange to focus on a car’s end as it’s only just been updated, but with the new-ish Audi TT S, it’s hard not to. Partly because there aren’t any drastic changes to review here, but mostly because every very pleasant mile in the car hammered home just how much of a shame it’ll be if this car doesn’t have a successor. Rumours of the car switching to a more homogenised, cheaper-to-produce four-door creation may have been quashed, but important people in suits at Audi towers are indeed mulling over the future of this car. Right now, the prognosis doesn’t seem good. It’s weird that we’ve gotten to this point. 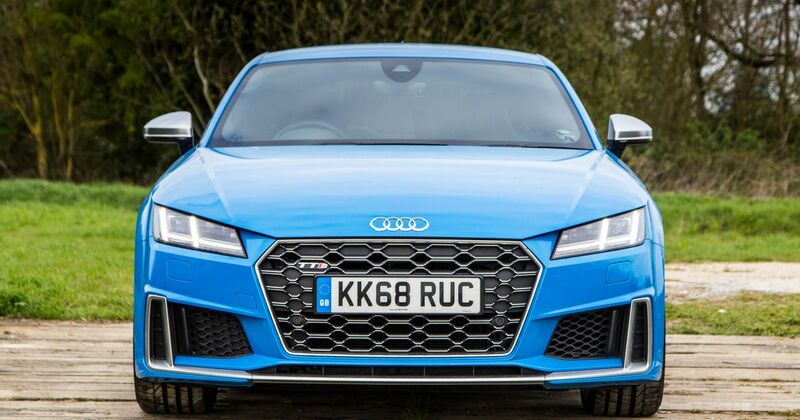 The TT is, after all, a car that proved Audi could be exciting and cool. Yes, it may have unleashed the fire-breathing, rally-bred Ur Quattro stuff many years before, but this was a stylish, trend-setting car for the masses. It was a surefire hit, clocking half a million sales by 2013, towards the end of the second-generation version’s lifecycle. 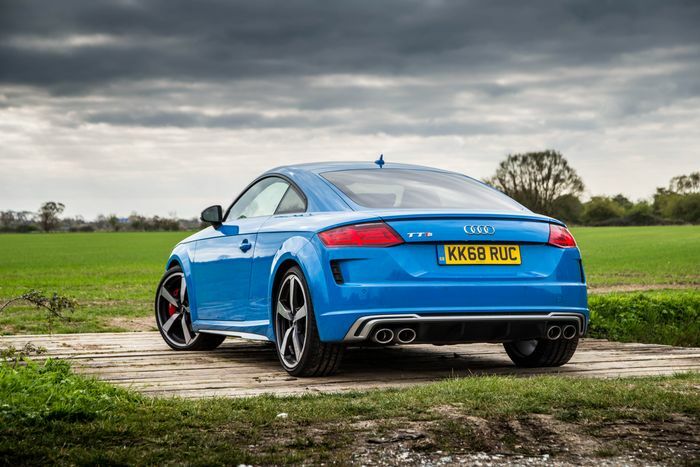 Fast forward to the facelift of the third-generation TT, and the world has turned its back on vehicles like this. Along with estates and saloon cars, coupes are another casualty of the rise of the crossover. The TT may be an icon, but the business case for its future remains tricky. Why do I want it to live beyond this car? A big part of it is the looks. The majority of Audi’s updates concern the outside of the car, including a “three-dimensional” singleframe grille, a new splitter, more aggressive side skirts, a redesigned rear diffuser and new (fake) vents in the rear bumper. 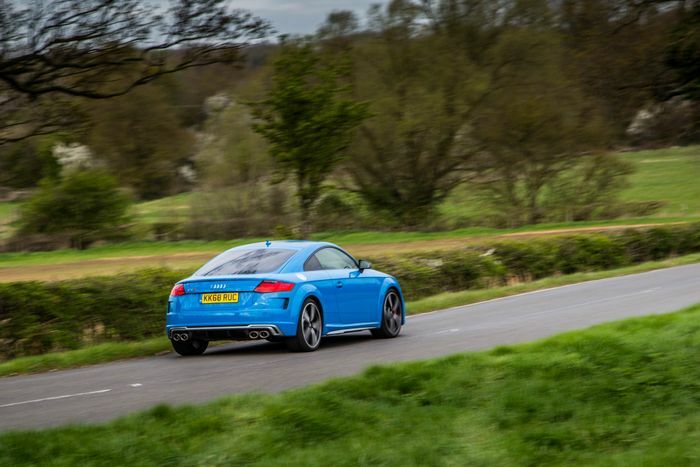 The tweaks work together nicely - our test car looked fantastic, even though the optional 20-inch wheels and vibrant Turbo Blue paintwork helped. But the Mk3 TT didn’t really need much help in this area - five years on from its launch, it still looks fresh. 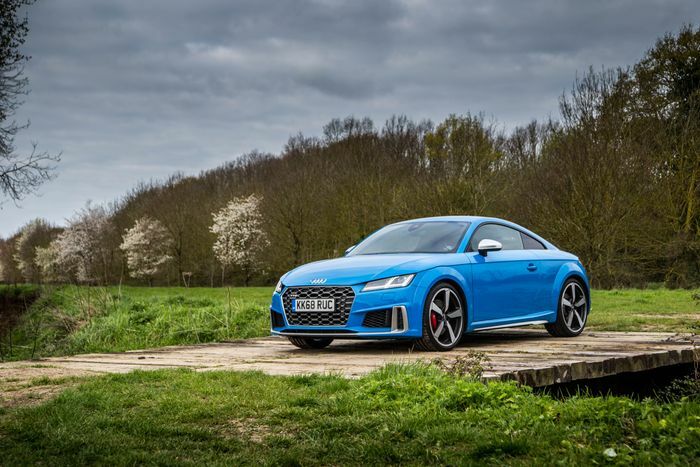 Let’s be honest, most cars on the road are boring, but the TT is the rare beast of a modern, mass-market car that breaks up the drudgery and makes you smile. For something as mainstream as this, it’s a hell of an achievement. The TT in any guise has always been an object of desire, both for petrolheads and regular car buyers. It’s important, though, to point out that it’s more than just a nice ‘thing’. The latest one has always been good to drive too. It’s not a pure sports car in the way that a Porsche Cayman is. Does anyone expect it to be? I really doubt it. And in any case, the TT S rises above the ingredients list it’s been given to work with. It may share a platform, engine and four-wheel drive system with the S3, but it’s more than just a hot hatchback you can’t see out of quite as well. It’s a combination of sitting a little lower in something lighter (albeit not by much) and with a shorter wheelbase. 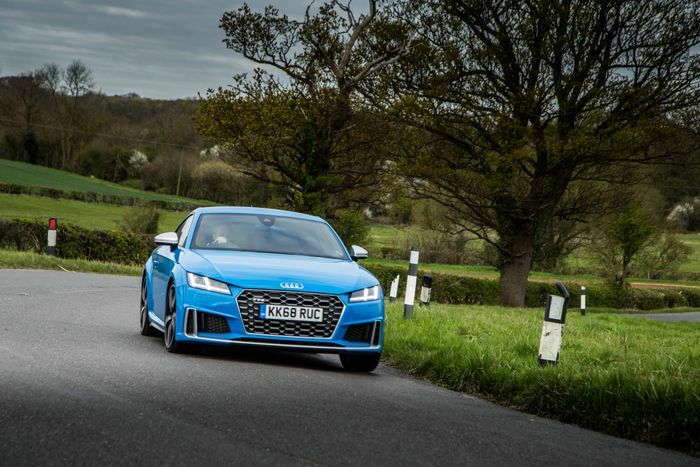 It means the TT feels just a little more exciting, more agile and more of an occasion. The very familiar EA888 is smooth yet punchy, and working together with that four-wheel drive system, always ensures that a dramatic increase in speed is possible whatever the conditions. The lack of manual this time around is a shame, but the new seven-speed dual-clutch gearbox (replacing the old six-speeder), is slick enough that you soon stop caring. It makes the car a tiny bit quicker than before, despite the power dropping from 306bhp to 302 (you can thank the new petrol particulate filter for that). It’ll now do 0-62mph in 4.5 seconds, a drop of a tenth. The ‘Soundaktor’ vibrating noise generator thing seems to have been fiddled with, though, now producing an odd five-pot like warble, which I’d rather do without. The behaviour of the four-wheel drive system will be unsurprising to anyone who’s ever driven anything from VW Group with a Haldex-type clutch in the middle. It provides ludicrous amounts of traction, and if you can reach the end of that, a healthy dose of understeer. Getting the rear axle to do anything requires considerable provocation, and in any case, it’s all straightened out very quickly. Not the most exciting recipe, but there’s no denying this car’s ability to cover ground extremely quickly. A little more weight from the steering would be nice, though - there’s precious little resistance when you turn the wheel. Crucially, you don’t have to be slinging it around and leaning on the 4WD to appreciate the TT S. It’s a special thing to be in however you drive, and a lot of that is down to the interior, which is damn near supercar-spec. This car may have been kicking around for a while now, but it’s always a pleasure to jump behind the wheel of the TT. 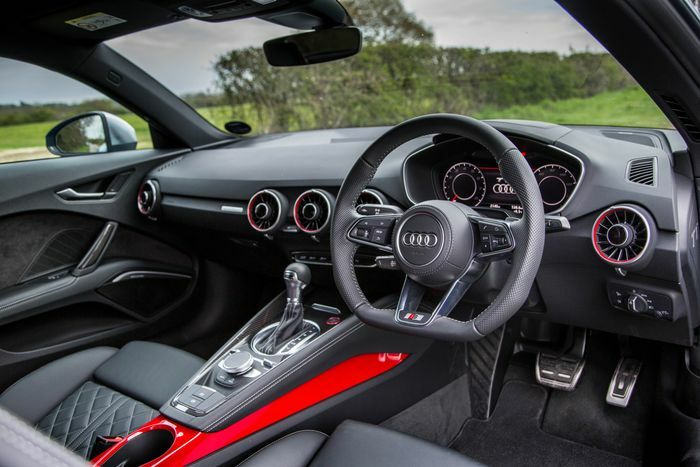 Those cool vents, the R8-shared steering wheel and the general minimalist feel of the space - it’s a triumph. And yet, you can easily daily a TT. It’s a firm car in any of the standard-fit adaptive damper setup’s modes, but never an uncomfortable one. You can (just) seat four people, and it’s reasonably economical. Which just makes it all the more puzzling as to why the TT may not be popular enough to warrant a true successor. I wouldn’t be surprised if this updated third-generation car is the end of the TT as we know it, but I really hope I end up being wrong.